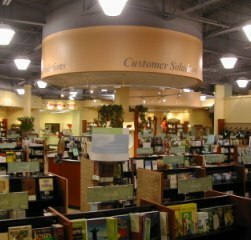 Click here for a few things to keep in mind when contemplating installing a bookstore in your church. Click here for three things important to the purpose and design of your store. Retail Solutions Packet – Everything You Need to Know to Get Started Looking for something very different from the normal retail bookstore or cafe? Our specialty is distinctive, unique designs that serve as neighborhood environments to meet the needs of today's disconnected consumers. We like to create environments that stir the senses and stand everything we take for granted about a bookstore on its head. For a look at some unique designs, click here.